Russell Kiwi Protection is an ecological restoration project. 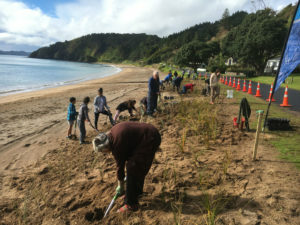 It is an initiative of the Russell Landcare Trust, a large group of keen locals who work together to restore and enhance the native biodiversity of the Russell Peninsula, in the Bay of Islands. For 17 years we’ve been doing weed control, predator control and native re-planting to enhance habitat for native plants, birds and insects. The Russell Peninsula is now a stronghold for North Island brown kiwi and North Island weka – their calls are part of our daily (and nightly) bird-song. 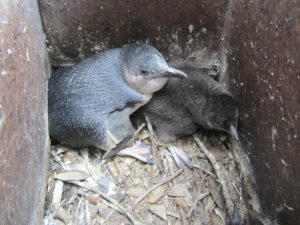 Other endangered birds like pateke (brown teal), Australasian bittern (matuku) and matata (fernbird) also live here. To build on our success, in 2016 we launched a new project: Russell Kiwi Protection. It is our largest and most ambitious project and is of vital importance to keep our forests, wetlands and coastline full of life. Some birds need extra help so we also build and place nesting boxes for kororā (little blue penguin) and kiwi to help keep them safe from rats, stoats, possums, cats and wandering dogs. Weeds love Russell’s mild, wet, frost-free climate and can rapidly push out and smother native species. We do regular weed-busting on public reserves, to prepare for native replanting and then again to give the new plantings the best chance to thrive. We are also certified for seed collection on public land managed by the Department of Conservation. Seeds are sent to the Kerikeri Shadehouse for propagation and then replanted back here in their area of origin. Since 2002, Russell Landcare has been controlling predators around Russell Village. 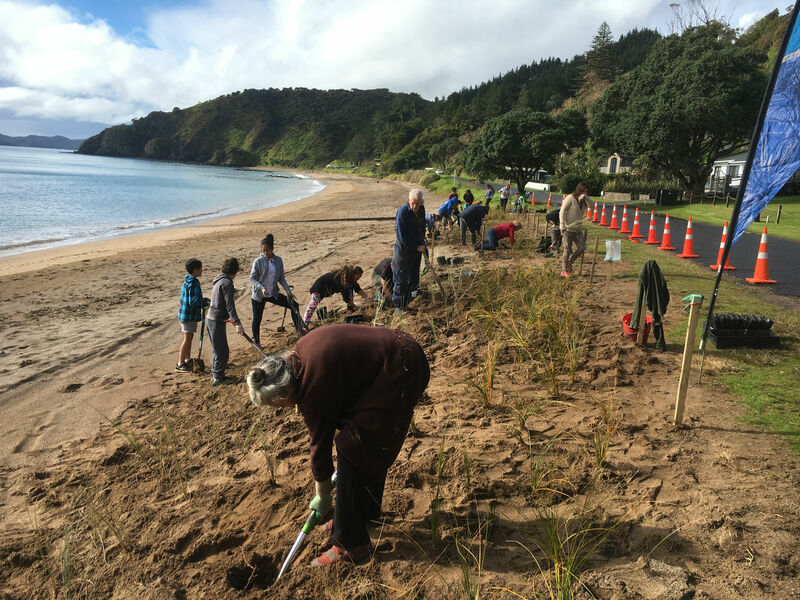 Russell Kiwi Protection, with its expanded and intensified focus on pest control is allowing native bird populations to recover, for species re-introductions to occur, and for possible self-introductions from the islands managed by Project Island Song. Every year on Arbor Day we go tree planting with children from Russell Playcentre and Russell Primary School, and at the end of the year we award one of the school kids the Russell Landcare Award for most outstanding contribution to conservation. There are students graduating from Russell School who’ve planted with us since playcentre. Grown-ups don’t miss out either: we award the Landcare trophy for ‘Best Use of Natives in the Garden’ at the annual Russell Flower Show.